All of the power banks below can charge a plethora of devices, but we all know their primary function: to be ready when your smartphone battery dies at the end of the day. It&apos;s a lifesaver for your 21st-century routine. 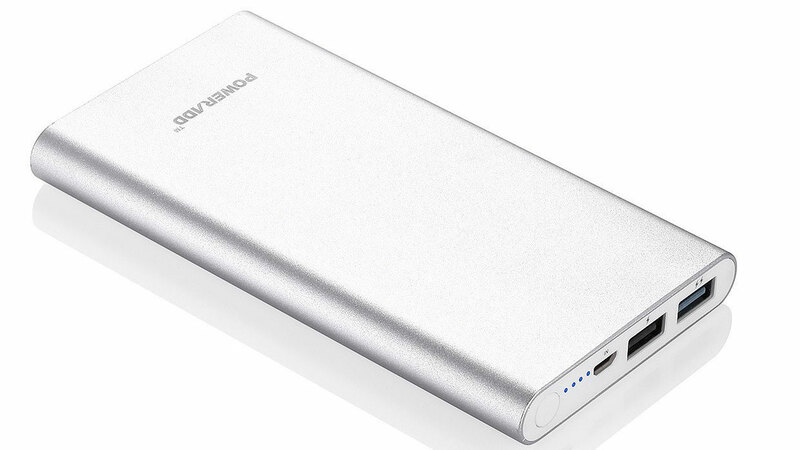 We&apos;ve got a list of the best portable chargers that include compact, high-capacity, and even laptop-compatible power banks. Never fall to 0% battery life again. 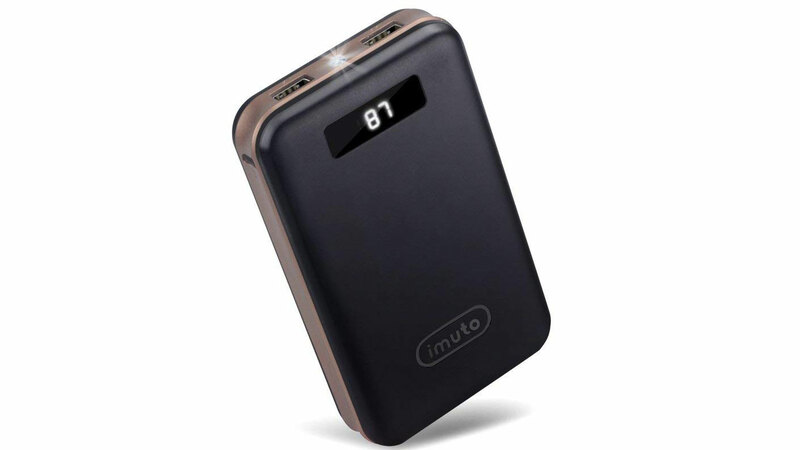 If you&apos;re looking for a high capacity charger that&apos;s portable, the iMuto 20,000mAh portable charger may be for you. It offers a 20,000mAh capacity that will be able to charge your average smartphone over four times and still have some charge left. It can also charge some MacBooks and laptops too, but you may want to make sure it will be compatible with your computing option before you buy it. Considering the price though, we really like the iMuto… plus you&apos;ve got the color choice of white or black. 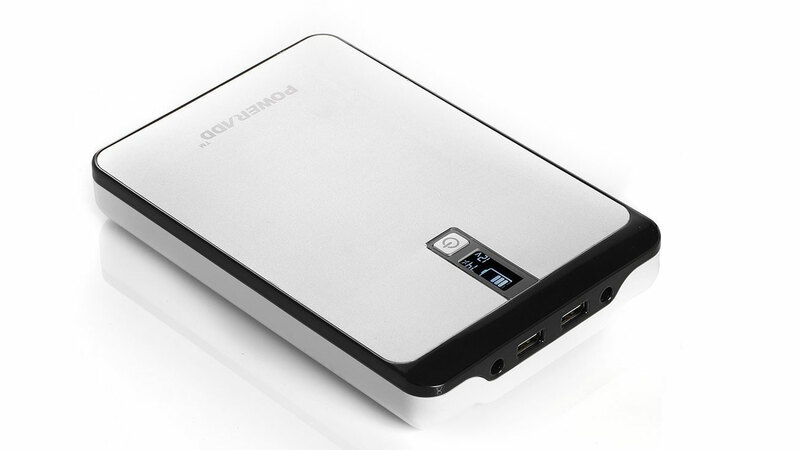 Another high capacity portable charger here for you and this time it&apos;s from RAVPower with a 22,000mAh option. The design is similar to the Anker and Aukey made options below, and it&apos;s a touch slimmer than the iMuto. You have three ports here so you can charge multiple gadgets at the same time and it&apos;ll have enough capacity to be able to charge both a mobile and an iPad or tablet from 0% too. 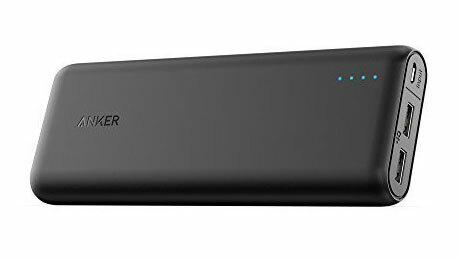 You&apos;ve likely heard of Anker, and this is one of the company&apos;s best portable chargers. It comes with a huge 20,100mAh battery inside, meaning this will be able to charge up your phone or tablet multiple times before it needs a recharge. 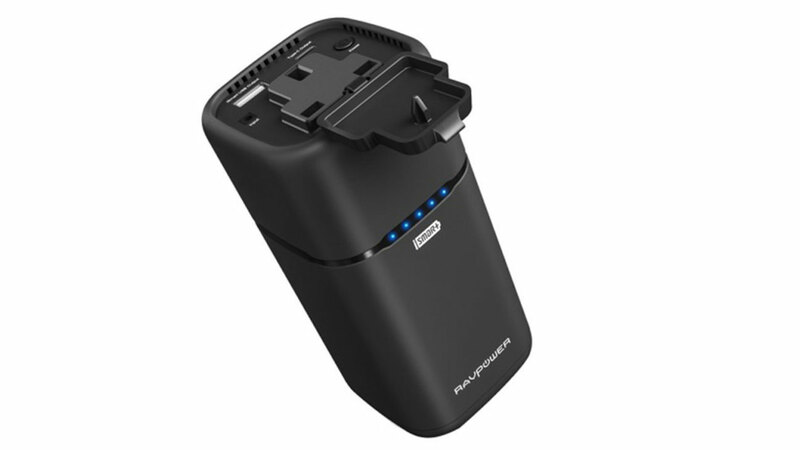 It also comes with high-speed charging for your devices if they use PowerIQ or VoltageBoost. It won&apos;t be able to use Qualcomm&apos;s QuickCharge technology, but it&apos;ll still boost your device when you&apos;re on the go. 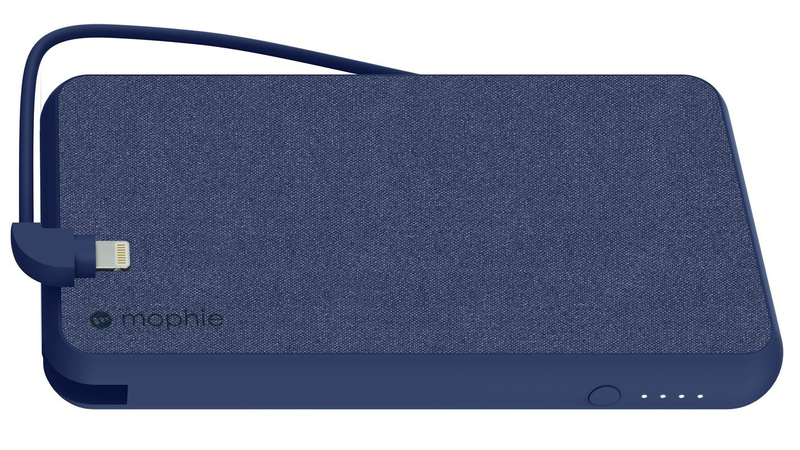 This 10,000mAh power bank has a soft fabric finish and can charge two devices at once, one via the 10W USB-A port and another with the integrated Lightning charger. 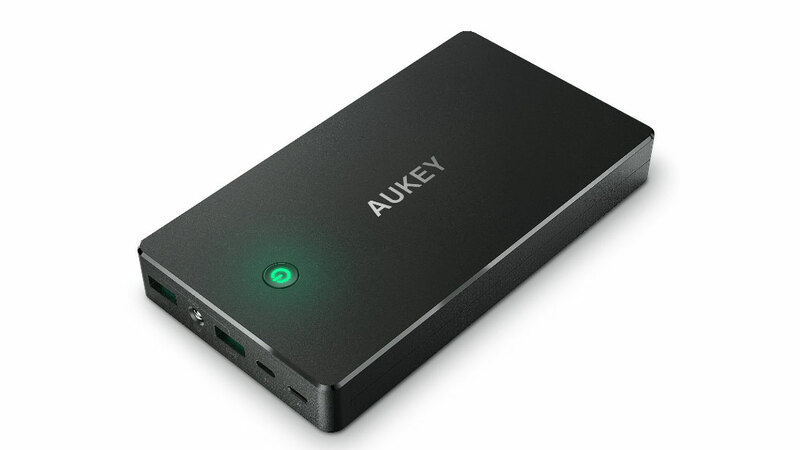 You won&apos;t find as much use from this portable charger if you&apos;re on Android, though it&apos;s still possible to use that USB-A port so you can help a friend charge. 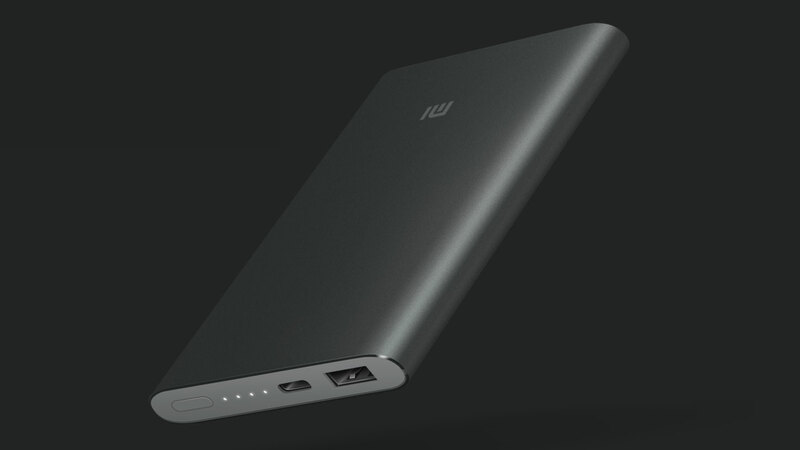 Xiaomi has a hand in some unexpected sectors of technology, including audio and portable chargers. But don&apos;t sleep on either, as it&apos;s onto something worth checking out. 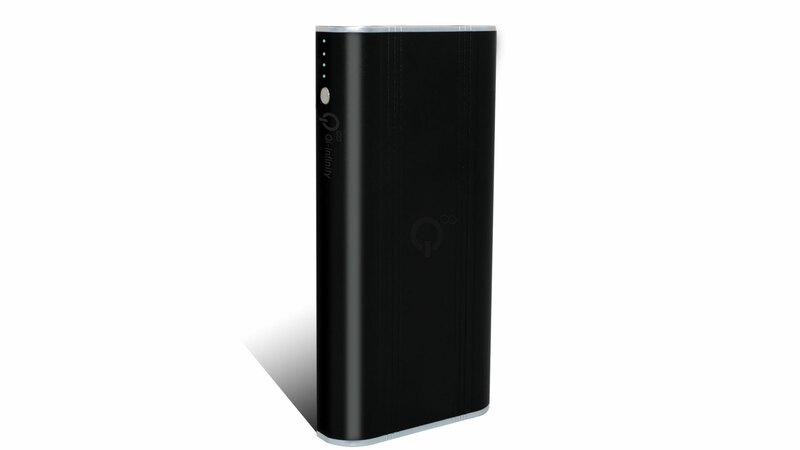 During our testing, its 10,000mAh Power Bank provided good results, both in terms of its portability and charging potential. While not the fastest charger out there, it was able to charge our Google Pixel 2 in a little over two hours. Thankfully, it&apos;s discreet enough that you can bring it with you just about everywhere to plug in when necessary. It&apos;s not rare for a power bank to come with a charging cable, but we appreciate that this one has been built with care to suit both micro USB and USB-C users with the same cable, as seen in the above gallery. With 10,400mAh inside, two USB outputs and fast charging technology the Pebble P1 Pro may be one of the best all-round power banks you can buy right now. This doesn&apos;t have anything to do with the defunct watch brand, but instead it&apos;s called the Pebble for its curved edges design. This should be able to recharge most phones at least two and a half times from a single charge, plus this power bank can be charged up by either microUSB or USB-C so you won&apos;t need to have a specific cable with you to pump it up again when it&apos;s out of juice. 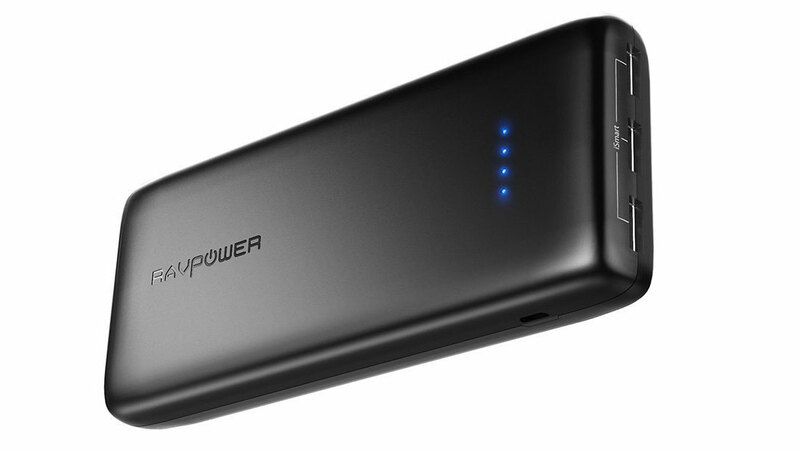 Poweradd also offers a great slim portable charger, and it&apos;s one of the cheapest options on this list yet boasts a substantial 10,000mAh cell inside. It may be quite heavy, but this is only 1.3cm thick, making it a great device to slip into your back pocket when you&apos;re out and about. You&apos;ll want to grab a cable to go with it though as unlike the Iceworks choice above it doesn&apos;t come with one built in. At only 209g and 1.5cm thick, you&apos;ll be able to take this around with you and not feel weighed down while still having 10,000mAh of extra power for any of your devices. 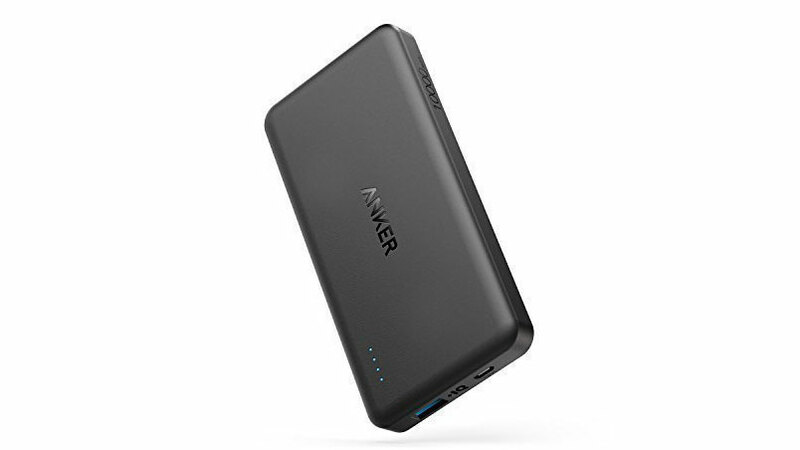 Plus it comes with Anker&apos;s own fast-charging tech that should mean you won&apos;t be plugged into it for too long. Like a lot of the chargers on this list, it doesn&apos;t come with a cable attached so you&apos;ll need to take your own out and about with you. The LEDs on the side of the device also show you how much charge is left and there&apos;s fast-charging tech built-in too. Don&apos;t you hate it when you have to pull a charging cord out alongside your pocket battery? 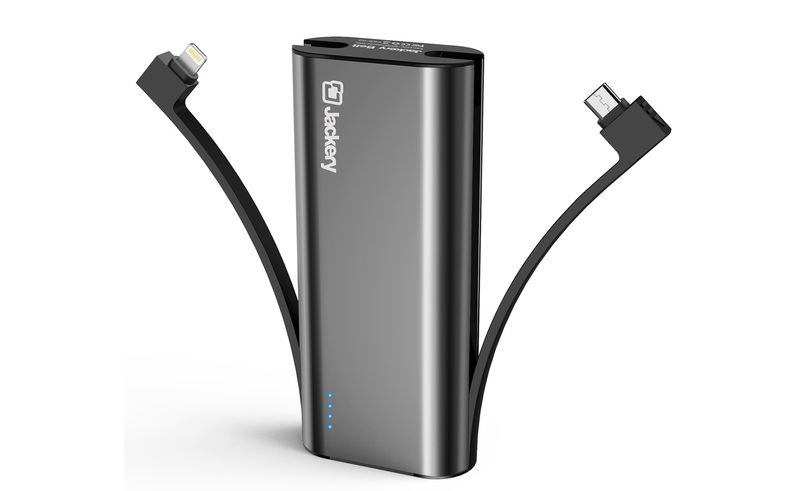 The Jackery Bolt has both Lightning and MicroUSB cables built-in, so you won&apos;t have to juggle cords. Unfortunately, that means the latest Android phones that recharge via USB-C won&apos;t get any use out of the Bolt. But it has a decent 6,000mAh of battery, which is good for between one and two full smartphone recharges depending on your device. This may not be the most portable charger on our list, but it features a lot of ports, so you can charge multiple devices at the same time. 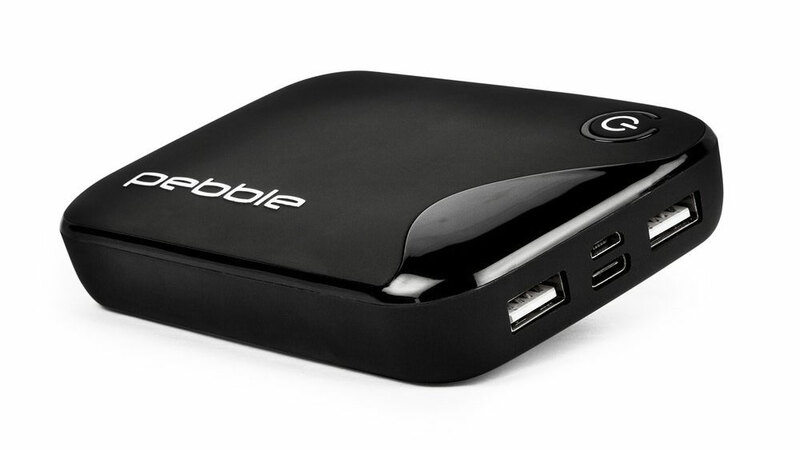 It&apos;ll even charge laptops as well as your phone and tablet. You can charge six devices at once, and with a 50,000mAh capacity it has the juice to do that, so if you&apos;re usually surrounded by a lot of tech this is possibly one of the best chargers to buy. There&apos;s a quick charge port too, which will fast charge compatible devices such as the Samsung Galaxy S7. 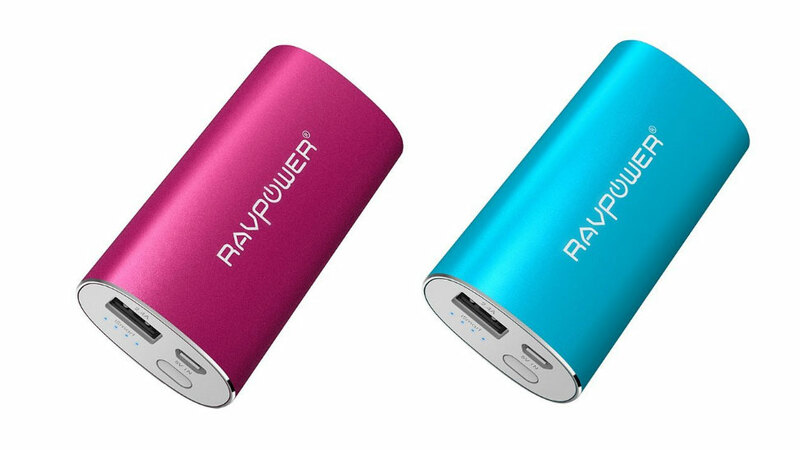 RAVPower&apos;s portable charger is a great choice if you need a device that can charge both your laptop and your phone. It features USB-C and normal USB outputs as well as an AC output, so you can plug your laptop charger directly in. 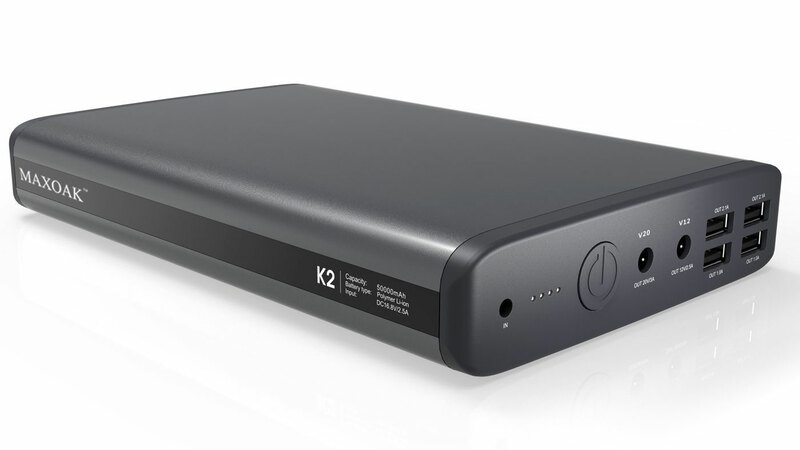 There&apos;s also a 20,100mAh capacity battery inside, so this will be able to juice up your phone or tablet multiple times before you need to put it back on charge. The picture above may be deceptive, as this isn&apos;t a small charger and is capable of charging up your laptop or tablet as well as your phone simultaneously.